Brent you don't happen to have a pic. of the inside of the plenum? 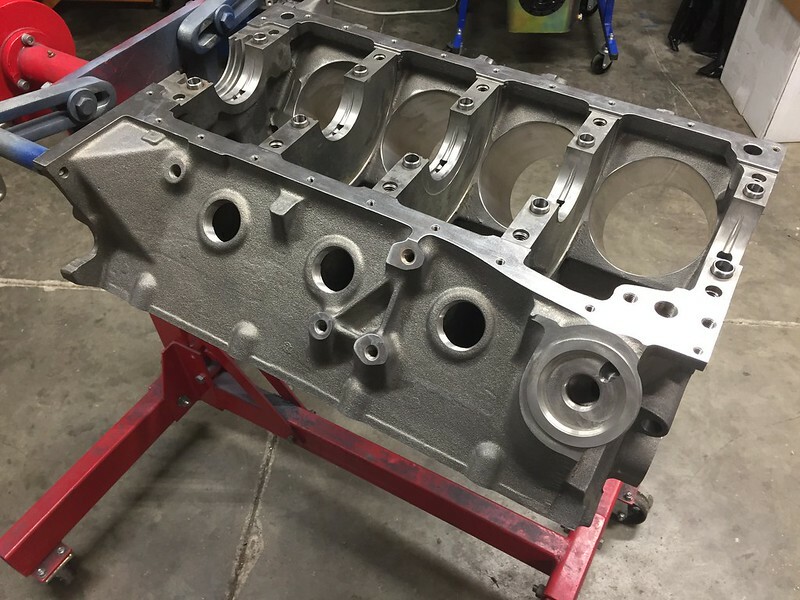 In my attempt at building an intake for the 408 mud truck it would be nice to see how they worked it at the top.. Most of its done... Just needs to be welded up..Kind of? 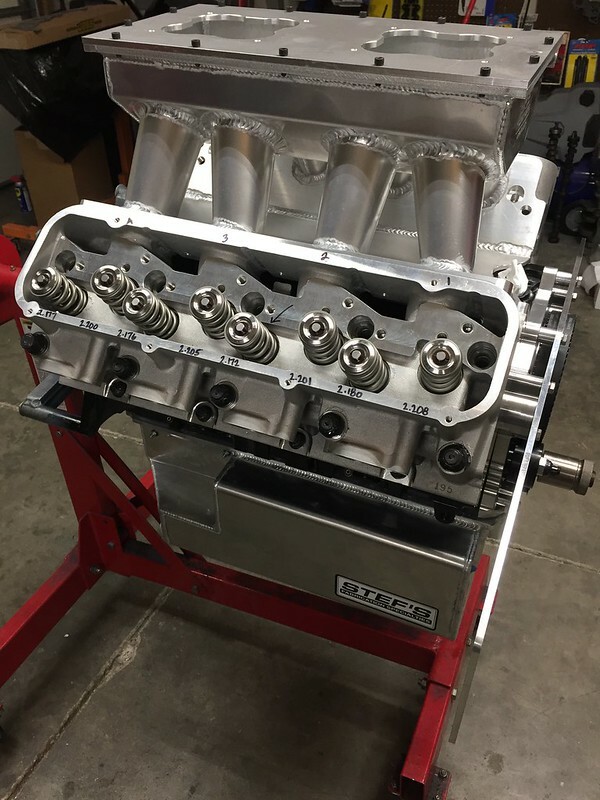 Block is machined, rotating assembly is balanced, and the short block is now together. Had some pushrod hole clearance issues and had to have the heads modified. 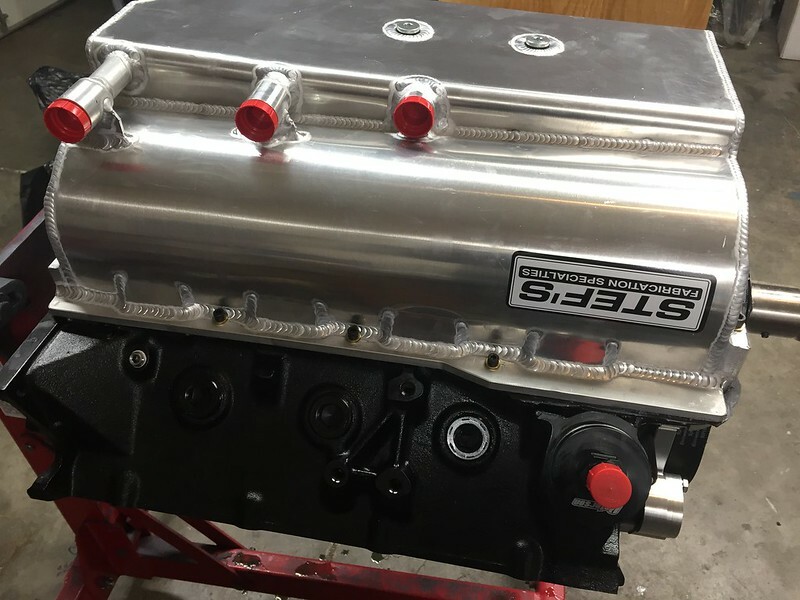 I will only be able to use a 7/16" diameter pushrod on the intake side, but will be able to use a 9/16"-5/8" on the exhaust side. Brent, are they beryllium seats on the heads ? 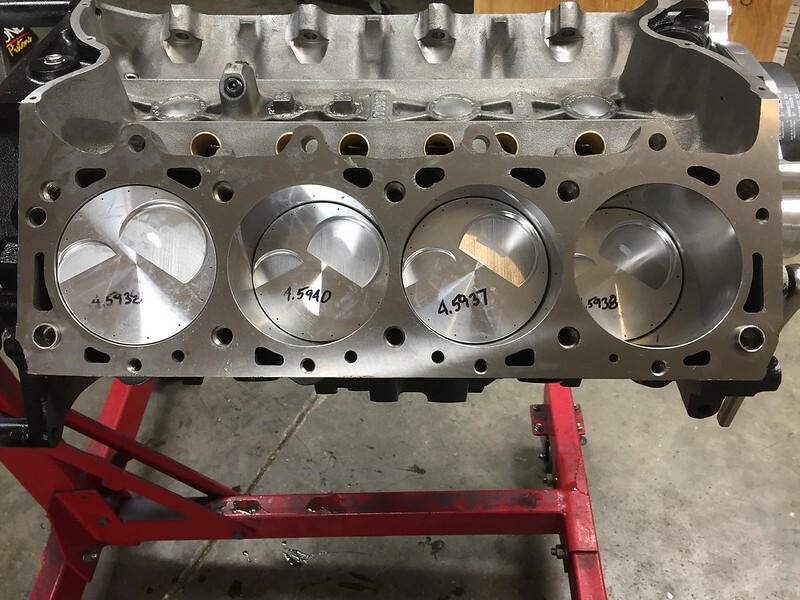 I had actually planned to take the heads/cam to Comp to use their Spintron but the block that they had that was set up for 60mm camshafts had disappeared....???? So I then provided some of their "high-up" engineer guys all the specs/weights/lobes/etc. and asked them for any professional comments. They said my combination was good for 10000 rpm. Heads are on after about 4 hours of pushrod hole grinding. For crying out loud. Intake flanges need cut .060", pushrods are ordered, and I'm waiting for some more dry sump parts to come in. Still got a lot of work to do. 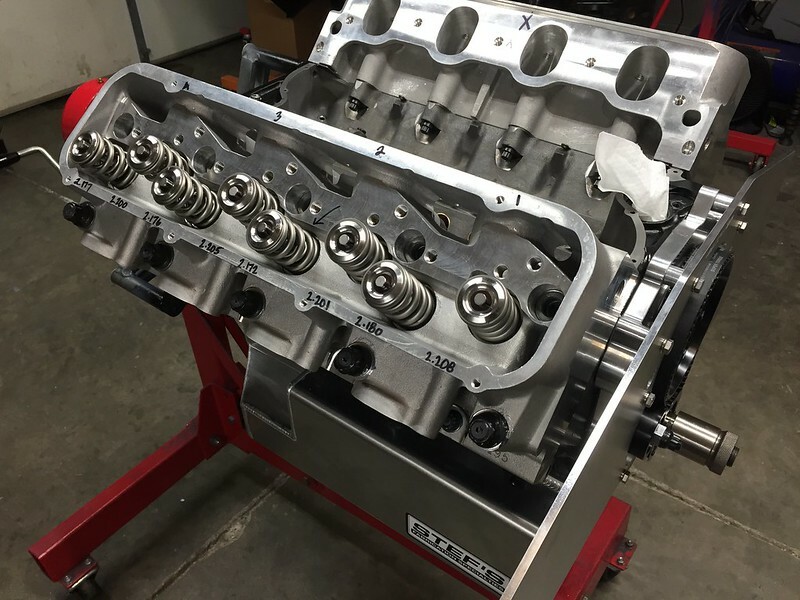 I guess it all depends on how much the customer is willing to maintain the required valvetrain. Amazing with that long of an arm the engine could do 10,000 rpm. But my question is beyond even 8K or 9K, can that engine really make much more hp at 10K? I know this baby hasn't even run yet, but would the owner gain even a 3-4% hp increase going from say 8K to 10K? My previous comment about the rpm was based on the valvetrain only. I was trying to get some Spintron time but no one has a prepared BBF block with 60mm cam journals, so I had to rely on the experience and data of some "high-ups" at Comp. 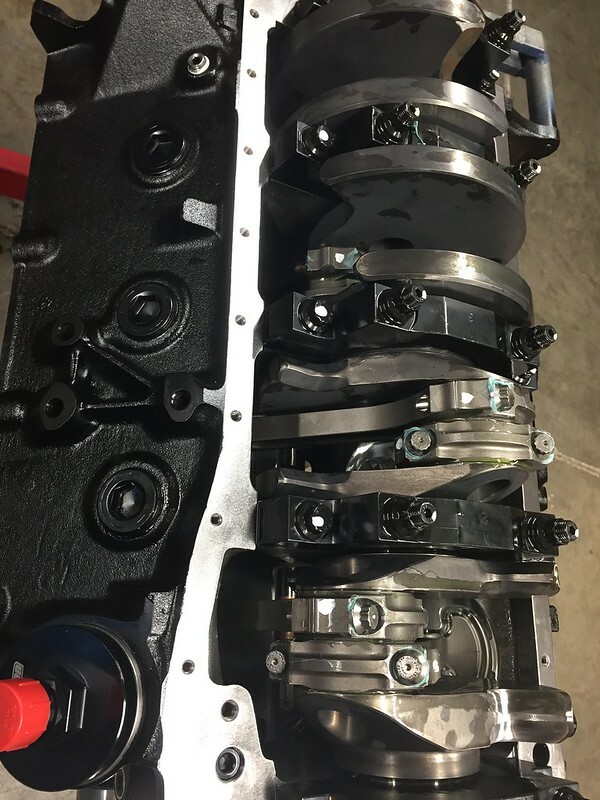 I gave them weights of every valvetrain component, down to the lash caps, and they responded with the results of their study. 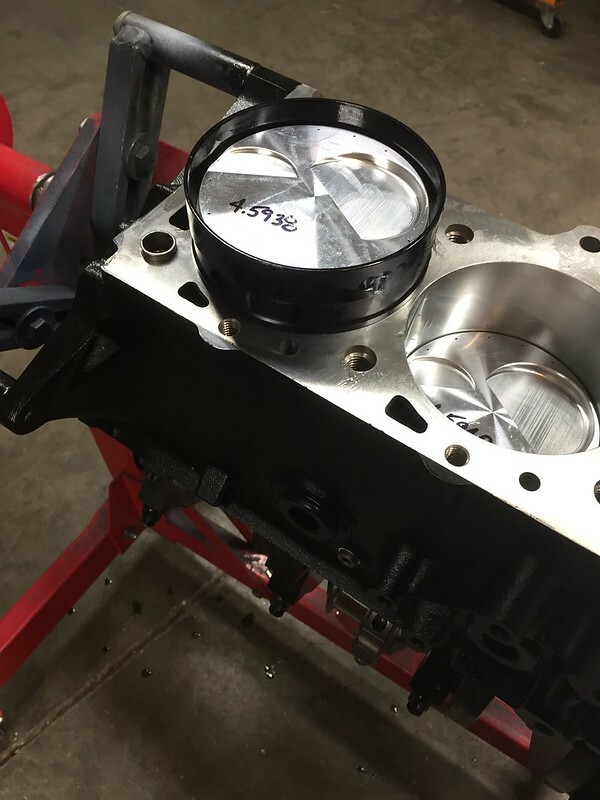 The top end of this engine isn't very far away from Pro Stock NHRA stuff, so the rpms should be able to be sustained. I wouldn't want this engine to be turned that high. 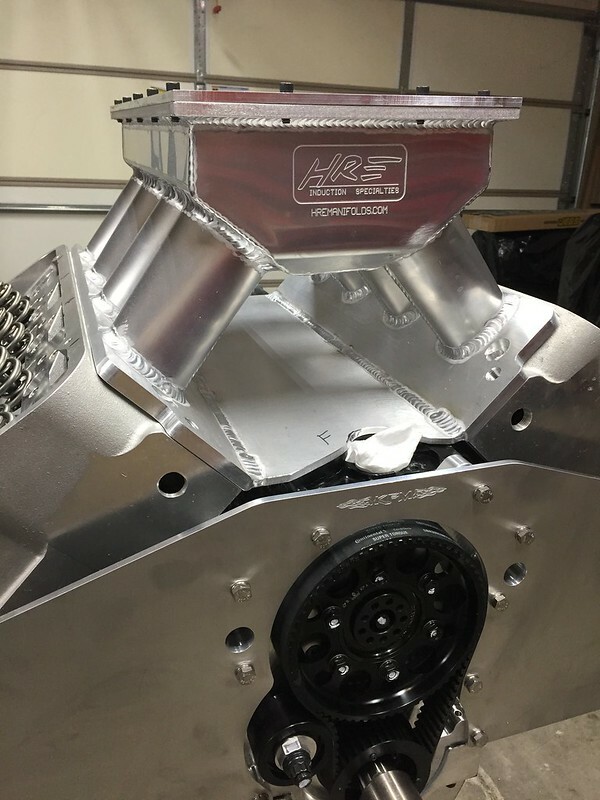 It hasn't been dyno'd, but my gut says it will be an 8000-8500 rpm hp peak and I will limit the driver to something close to that.